Val Caniparoli's versatility has made him one of the most sought after American choreographers internationally. He has contributed to the repertoires of more than 50 dance companies, including Finnish National Ballet, BalletMet, BalletX, Kansas City Ballet, Richmond Ballet, Pacific Northwest Ballet, Boston Ballet, Northern Ballet Theatre, Pennsylvania Ballet, Joffrey Ballet, Hong Kong Ballet, Scottish Ballet, Smuin Ballet, Atlanta Ballet, Royal Winnipeg Ballet, Ballet West (resident choreographer 1993-97), Washington Ballet, Israel Ballet, Cincinnati Ballet, Singapore Dance Theatre, Atlanta Ballet, State Theatre Ballet of South Africa, and Tulsa Ballet, (resident choreographer 2001-06). One of his most popular ballets, Lambarena, was nominated for the Prix Benois de la Danse in 1997 for Best Choreography. Caniparoli is most closely associated with San Francisco Ballet, his artistic home for over 43 years. He first worked under the artistic directorship of Lew Christensen, and in the early 1980s, was appointed resident choreographer. 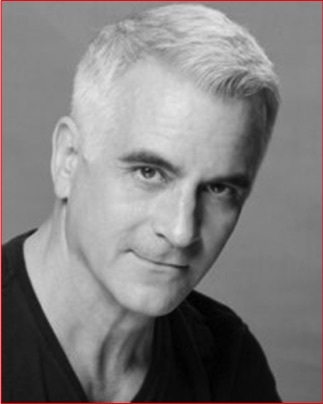 He continues to choreograph for the company under Artistic Director Helgi Tomasson. Caniparoli has also choreographed operas for three major companies: Chicago Lyric Opera, San Francisco Opera, and The Metropolitan Opera. In addition, he has worked on several occasions with the San Francisco Symphony, most memorably on the Rimsky-Korsakov opera-ballet Mlada, conducted by Michael Tilson Thomas. His work with San Francisco’s esteemed American Conservatory Theater (A.C.T.) includes choreography for A Christmas Carol, A Doll's House, Arcadia, A Little Night Music, and the creation, with Carey Perloff, of a new movement-theatre piece, Tosca Cafe. His full evening-length ballets include Lady of the Camellias, three different productions of The Nutcracker for Cincinnati Ballet, Louisville Ballet, and Grand Rapids Ballet, and Val Caniparoli’s, A Cinderella Story, danced to themes by Richard Rodgers, for Royal Winnipeg Ballet. In 2015, Caniparoli co-choreographed, with Helgi Tomasson, a commercial for the 50th Anniversary Super Bowl with dancers from San Francisco Ballet. Born in Renton, Washington, Caniparoli opted for a professional dance career after studying music and theatre at Washington State University. He received a Ford Foundation Scholarship to attend San Francisco Ballet School and performed with San Francisco Opera Ballet before joining San Francisco Ballet in 1973. 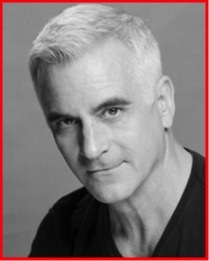 He continues to perform with the company as a Principal Character Dancer. Co-founded OMO, a choreographic collective based in San Francisco. Documentary on the formation of OMO was broadcast on PBS.